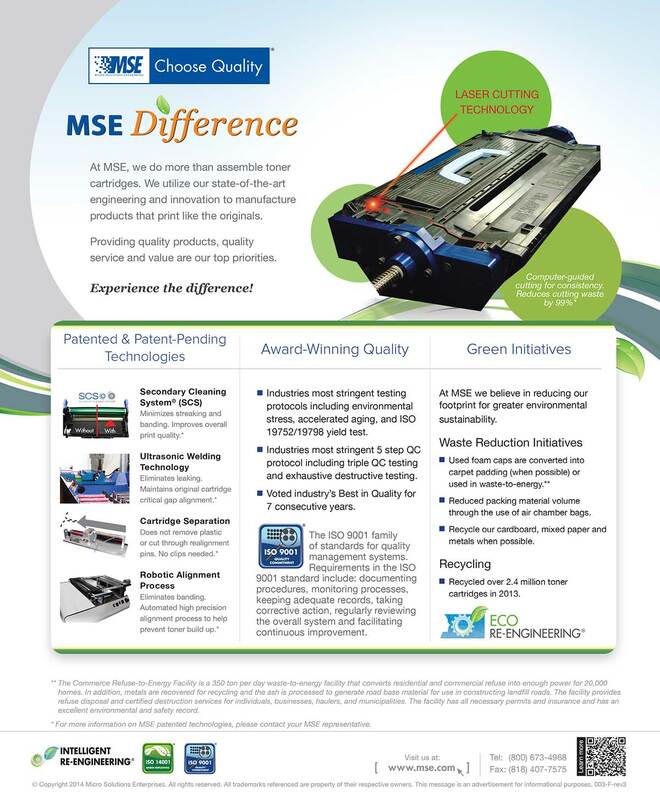 Data Source is pleased to partner with MSE as our leading brand of remanufactured toner. Call us at 800-737-7075 or contact your account manager to begin recycling your empty toner cartridges with Data Source. Our recycling service is simple and FREE to all current Data Source customers.